Possible alternative to Fortnite: Save the World? 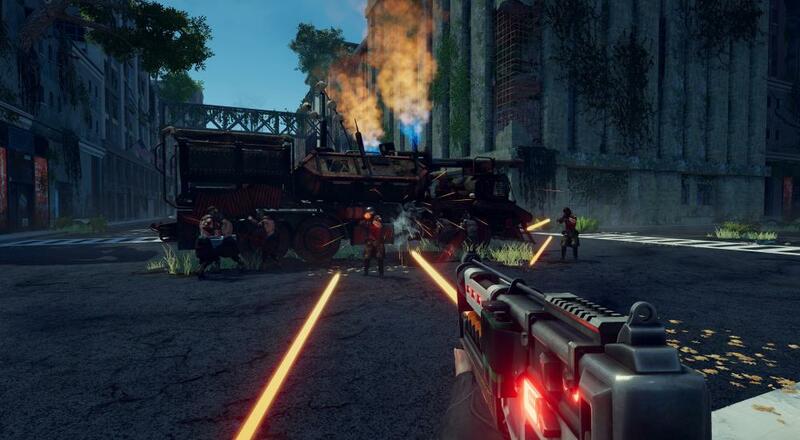 Alda Games' wave-based co-op FPS title, Band of Defenders, arrives on Steam today. The core loop of the game is to protect a point against waves of enemies by building defenses and shooting foes as they get close. If you miss the days when Fortnite was just a PvE survival game, then this may scratch that same itch. There's a certain "Fallout meets Fortnite" vibe I get from seeing the game in action. While there are in-game crates you'll earn from playing that provide you with new weapons, defenses, and a boat-load of customization items for your in-game character, the devs have made a point of stating that there are no microtransactions, so the only way to get those crates is when you get one from gaining enough XP. The main game mode pits you and your buddies against a few waves of foes before the final "boss" wave, while the "endless" mode lets you go until you're finally overrun. Band of Defenders is available on PC via Steam. It supports four player online co-op in both the main game mode and endless mode. Page created in 1.2183 seconds.